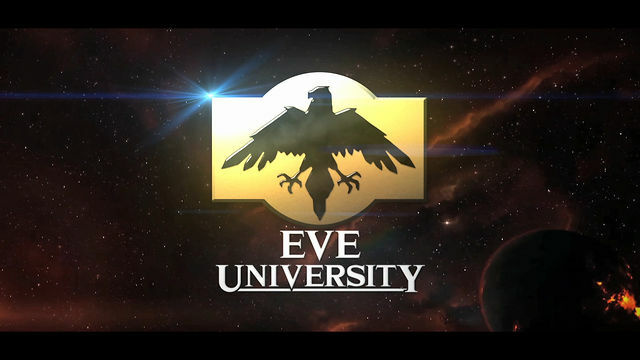 Eve University [E-UNI] destroyed an Azbel belonging to Red Eyes Blue Bear Supremacy [REBBS], an alt corp of Global Warmers Corp [GWCO] in the wormhole system of J220338, and thoroughly evicted their wardeccers from their Industrial stronghold. The bulk of the fleet consisted of new players, freshly trained into Caracal and Osprey Navy class Cruisers, and for most this was their first foray into wormhole space. 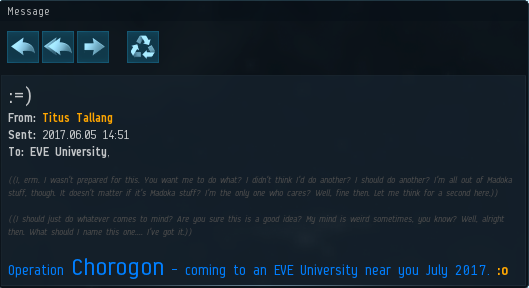 I may be incorrect, but aren’t wormhole evictions out of the ordinary for E-UNI? It’s not something we do all the time, mostly due to burnout avoidance (most evictions are 90% mind-numbing boredom while maintaining hole control), but we’ve certainly done it multiple times in the past – see one, two if you’re looking for more details on those. Wormhole space is a preferred target since you avoid the silliness of Hisec mechanics (neutral logi are stupid), but also avoid the inevitable third party cyno on timers (plus citadels actually mean something there since there’s no lolassetsafety). It is the custom of Eve University directors to release public after action reports, and these provide really excellent insight into how the University carries out it’s day to day operations and generates content for it’s members, called Unistas. Excerpts of the report for this operation follow, but if you would like more than the gist, head over there and give it a read! Back in June, the University received a declaration of war. This alone would not be quite as uncommon, yet something was strange. The particular attacker here was a complete unknown by the name of Global Warmers Corp, with no particular history of high-sec aggression. We inquired through diplomatic channels, but to no avail. 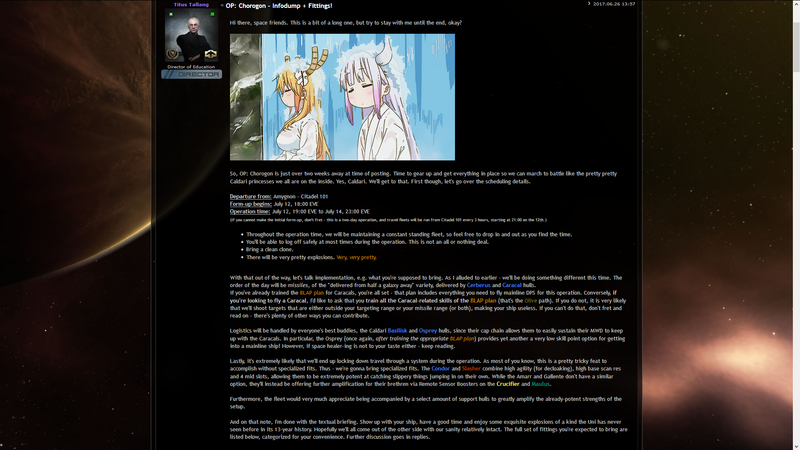 Thus, we shrugged and began standard response procedures – including seeding alts into enemy channels, which will allow us to offer some exclusive glimpses into the mind of the enemy later on. Of course, we always like to keep our eyes peeled for immobile targets that allow us to force the hand of our elsewise-slippery opposition. In this case, a lot of our work had already been done for us, as a lovely pilot named Michael Alderman had correctly identified GWCO’s two home systems of J132418 and J220338 in a wonderful intel report he assembled. 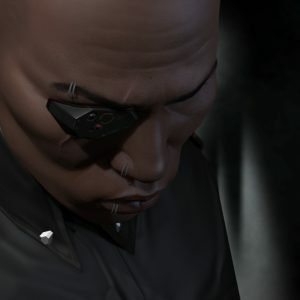 Once we had gained access to the enemies’ comms, this information was quickly verified, and the corporate office list, accessible to any corp member (bless CCP), allowed us to easily identify the structures being used – a Raitaru in J132418, and (far more importantly) an Azbel in J220338, which was primarily used as an industrial base and PI source. At this point, a plan began to form in my mind. We hadn’t killed an Azbel before, and some cursory research revealed a Moros dreadnought was also present. All in all, tasty targets that made me decide to take my proverbial structure FC hat off of my proverbial hook and announce an operation for July. In the past, when the Uni has indulged in operations like this, we’ve typically employed very bashing-focused armor kitchen sink fleets mainly composed of Oracles and VNIs (with Prophecies and Vexors as low-SP options). However, in the time since then, we’ve added the BLAP training program, which offers a HML Caracal as a structure fight option. Having never gathered experience with that variation of the doctrine, I figured this operation might mean a good chance to rectify that. As such, I made a decision to focus on a Cerberus/Caracal HML doctrine, which should give us enormous control over any grid with ridiculous range projection while our opposition would be pseudo-tackled by the objective being contested, and announced this in late June to allow members time to train into their favorite fit. During the actual insertion, we had a number of crucial objectives to fulfill at the same time, so plans were made ahead of time and then amended on the day to suit the actual situation in the hole. Due to the target Azbel’s vulnerability schedule (Mon-Wed 00-02, 22-00), we were forced to schedule for a Wednesday, choosing 19:00 as the departure time to give plenty of time to lock everything down nice and tight before the actual structure contest needed to begin. Despite this, turnout was lovely, with fleet member counts peaking just shy of 150. Things are going very much optimally. We enter the wormhole, and still no adversity as we immediately establish control over all connections and lock down the enemy Starbase with the Moros still inside. The Moros exits the safety of the POS shield and commits suicide via siege mode. During insertion, our Caracal setup has prevented any possibility of hit-and-run interference by the defense, and we’re now starting to incapacitate starbase modules to remove any real risk of opposition. However, as it quickly becomes apparent – if a single starbase battery has 1.6 million HP to grind through, and you have 70 Caracals shooting it, and even if you make a very optimistic assumption of each Caracal doing 300 DPS, you will still take more than 10 minutes for each battery you kill – and a tower can be (and this one is) equipped with upwards of 30 of these. Needless to say, these are not nice numbers. On Thursday, incredibly, some brave holdouts had actually committed to forcing three of the system’s nine customs offices into reinforced mode even after the excruciating tower grind had ended. As numbers climb, we commit to repeating the process for the remaining seven, and slowly do so over the course of the next hours. At 22:00 EVE, the Azbel exits its first reinforcement cycle and we destroy its armor over the course of the next 45 minutes. The eight Oracles from the previous day, joined by some polarized bombers pilots brought in, make the process faster, but still not nearly fast. At just past 19:30 the Control Tower exited exited reinforced mode. Luckily, armor and structure are significantly less bulky than shields, and the tower succumbed shortly thereafter. We maintain control, and I begin to disassemble our staging tower as the final remains of the enemy POS are wiped from the map. On the hour at 22:00, the enemy Azbel finally exits its final reinforcement cycle and we pile on until 22 minutes later, a series of small explosions builds into a sequence of larger blasts and, finally, the Azbel delivers the fireworks show we’ve all been desperately needing. In addition, we are graced with a deluge of station containers ejecting the contents of the doomed structure, which we immediately begin to gobble up as if our livelihoods depended on it. As opposed to the Starbase, which had been stripped bare, it appeared that our friends had not been quite as orderly with their Azbel, and we quickly realize we’ve stumbled across quite the haul. Three days had finally gone, and the operation was over. On the financial front, I’m happy to say that the operation was a resounding success. The total profit from the firesale was just shy of 5.3 billion ISK, all of which has been forwarded to the University’s coffers – not included are the various other nonliquid assets that were retrieved but not yet sold. While no value can be given for the total losses inflicted on GWCO, the data we do have tells us that it’ll easily reach into the tens of billions. There are many stories out there. But this one is ours. We made our own piece of history, something we will never forget. We were there, and it was awesome. I will right away seize your rss as I can’t in finding your email subscription link or newsletter service. Do you have any? Please let me recognize so that I could subscribe. Thanks. Sweet site, super pattern, real clean and apply pleasant.